Dave Boutette and Kristi Lynn Davis, Folk, Blues and Country Blissfest Folk and Roots Mini Concert Series Dave & Kristi’s songs are a blend of many schools of American roots and popular music including folk, blues, swing, and old time country. The lyrics testify to the power of true love, rebirth, snow plows, coffee, and even migrating fish. 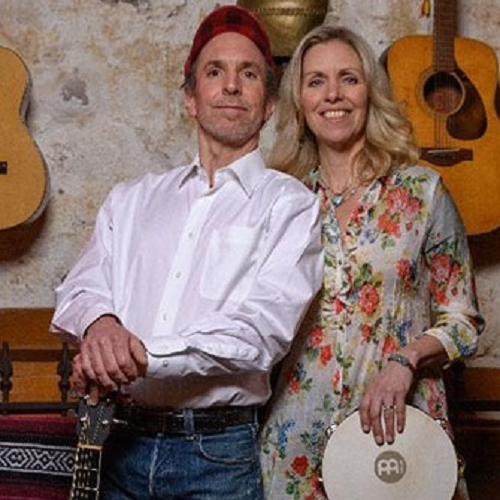 Together Dave and Kristi have performed at music festivals, listening rooms, and brewpubs from the Porcupine Mountains in Michigan’s Upper Peninsula all the way down to Oberlin, Ohio. Davis logged in about 1,200 performances and 240,000 kicks as a Radio City Rockette. She also sailed the globe as a singer-dancer on luxurious cruise ships, and worked in musical theater productions with showbiz icons Susan Anton, Buddy Ebsen, Maurice Hines, Jack Jones, Paige O’Hara, Juliet Prowse, Rip Taylor, and others. Kristi’s had so many adventures in show business, she had to write a book to keep them all straight. Her award-winning comic memoir is titled Long Legs and Tall Tales.